There’s no better feeling than finding out that your favourite new TV show has been renewed for another season. Too often, a television series with a mere one or two seasons under its belt will suffer the dreaded curse of cancellation before it even has a chance to thrive. Occasionally, however, a show isn’t cancelled soon enough, having survived long past the period of anxiety in its early days and ultimately overstaying its welcome in our living rooms or on our laptops. Sometimes, getting kicked off the air can be a good thing, and there are a few shows in particular that would have benefitted from this years ago. As ABC’s longest-running series ever, premiering in 2005 and entering its 15th season this past September, it should come as no surprise that Shonda Rhimes’ medical drama made this list. While the diehard fans of the long-running series might disagree with this choice, the show seems to only have survived so long because its fans simply can’t let go. It’s maintained decent ratings—although they’ve dipped significantly in the past five years—but these are likely due to the dedicated fans’s loyalty, rather than a measure of consistent quality. As a show about medical practices, there is an endless array of topics that can be explored, focusing on both problems facing the patients as well as the doctors that we get to know personally. The variety of potential episode ideas is key reason as to why and how the program has been able to sustain itself for this long without running out of storylines. However, just because you can do something, doesn't mean you should. The only reason the show can even still be called Grey’s Anatomy is because Meredith Grey herself remains one of the few original characters that have stuck around, the rest killed off or transferred to another hospital at one point or another, mostly due to the actors seeking other avenues. With a virtually brand new cast and a tired premise, Grey’s is better off kicking the bucket, like many of its beloved characters already have. Born out of the phenomena of the CSI franchise in 2005, this police procedural crime drama is unique from the slew of others due to its focus on the psychological behaviours and potential motives of the criminal perpetrators. Like Grey’s Anatomy, the premise of the show—FBI behavioural profilers analyzing the acts of unknown criminal suspects in the investigations of crimes—allows for an endless variation of potential plots, as well as many famous guest stars. However, you can only get so creative with what crimes are committed and how, before the storylines get too out there and unrealistic, not to mention ridiculous. 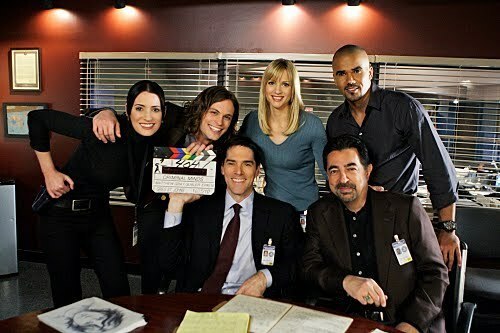 Also in the vein of Grey’s, in its earlier seasons, Criminal Minds had a cast of characters who were as likeable as they were skilled at their jobs. Over the last 14 seasons, though, the series has lost some of its most beloved agents, from Derek Morgan to Hotch (although the actor, Thomas Gibson, was fired), and viewers just don’t seem to have the same emotional attachment to their replacements. Not to mention the premiere of the newest season had the lowest ratings of any episode in Criminal Minds history. All things considered, it might be time for these criminal experts to hand in their badges. As an avid and devoted fan, this one hurts the most to admit, but Shameless needs to throw in the towel. Based on the UK series of the same name, this raunchy yet heartwarming dramedy aired in 2011 on Showtime, and follows the misadventures of the dysfunctional, poverty-stricken Gallagher family in the South Side neighbourhood of Chicago. Originally centred around the inability of the alcoholic patriarch, Frank, to act as a father and the oldest child, Fiona, having to take on the responsibility of raising her five siblings, the show now sits in an awkward place. All the kids have basically grown up, save for the youngest in elementary school, and their struggles with money and surviving in the “ghetto” aren’t the primary focus anymore. Not to mention the fact that Frank, despite all of the morally questionable to downright evil things he’s done over the past nine seasons, is forgiven time and time again by his family. It gets exhausting and disheartening watching such a monster of a man, no matter how funny he can be at times, be excused for his actions for so many years. Plus, with Emmy Rossum and Cameron Monaghan leaving the cast, it feels even more pointless for the show to go on. Without a Fiona or an Ian, Shameless won’t be the same. In all honesty, I’m not sure why this sitcom is still running. Don’t get me wrong, Modern Family is hilarious, and was somewhat revolutionary when it aired in 2009 due to its focus on different types of families in modern-day America. The series follows Jay Pritchett and the families of his adult children, Claire and Mitch. Jay’s family consists of his second, much younger wife from Columbia, Gloria, and her son, Manny; Claire’s of her husband, Phil, and their three children; and Mitch’s of his husband, Cam, and their adopted daughter, Lily. Because the show, like The Office or Parks and Recreation, is filmed in a mockumentary style with single-camera shots and characters speaking directly to the fourth wall, there was an abundance of opportunity for comedic effect, but the spark that it had in its earlier days is fading.The characters aren’t as charming, the jokes aren’t as funny, and the premise of a modern family isn’t all that new anymore, making it less exciting to watch. The show would be better off if it made a last-ditch effort at some final jokes and said farewell. When a show has already been cancelled once before, it’s usually a sign that it should stay that way. This singing competition series was nixed by Fox in 2015 after 15 seasons, and at the time, it felt like nobody (besides maybe my parents) were even still watching it. 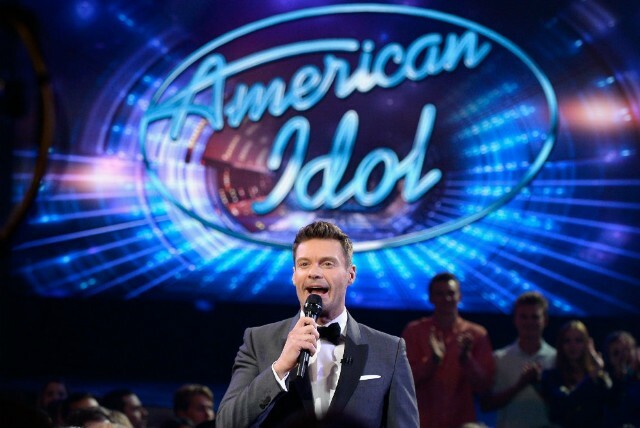 With the success of fellow singing competition shows like The Voice, and similar competition shows like America’s Got Talent, Idol was just not receiving the same support as previous years. However, it was revived only two years later in 2017 by ABC, with Katy Perry, Luke Bryan, and Lionel Richie signing on as the new panel of judges, and Ryan Seacrest returning as the host. The revival season premiered in March of this year, though it is clear that the beloved American institution should’ve remained in its grave. Revivals of popular shows rarely work, with rare exceptions like the new seasons of the turn-of-the-millennium sitcom Will and Grace (which I pray everyday will NOT get cancelled), and even they waited eleven years to give it another shot. The contestants on Idol are better off auditioning for one of the many alternative talent shows on TV, and the judges should return to making music instead of critiquing it. Lynn Sharpe, originally from North Vancouver, began her studies at Concordia University in Montreal in the fall of 2015. She plans to graduate this upcoming spring with a Bachelor in Honorus English & Creative Writing. She has been a contributor for Her Campus Concordia since the fall of 2017; she is also a prose editor for Soliloquies Anthology, the Concordia undergraduate literary journal. In her spare time, Lynn loves to spend hours perusing Twitter, watching coming-of-age films, and making achievable to-do lists.